If Pac-12 Football were listed on the NYSE, I am certain that investment guru Charles Fischer, among a host of others, would rate this stock not as a sell, but as a sell now! The conference just set a record for bowl game futility, going a combined 1-8 this bowl season. And not just losing, but with the exception of Utah, looking squishy soft in doing so. The offensive line play from conference champ USC brought a new meaning to the word “sieve,” while the conference’s best defense, (Washington) surrendered 545 yards to Penn State. CFB’s first early signing period for high school seniors saw the conference convincingly secure in last place among the Power 5 conferences. Larry Scott … start looking at new strategies for our conference! The Pac-12 Network is an abject failure, as projected income distribution to member schools has fallen far short of earlier projections. If the conference was managed by business people and not academics, commissioner Larry Scott, recently called out by the presidents of Cal and Washington State, would be long gone. The Big 10 and SEC networks had extensive coverage of early signing day. The Pac-12 Network? Zip. Further, ESPN’s coverage did not include a single interview with a Pac-12 coach. The guy with the highest Q rating on the Pac-12 network is Mike Yam. Mike Yam? Last season, the conference was called out by ESPN’s Chris Fowler and Kirk Herbstreit and further embarrassed by three cupcakes being placed on the UW sideline. College GameDay did not venture once into Pac-12 territory until the Rose Bowl, which featured teams from the Big 12 and the SEC. Our good friends at FOX determined that a truck race was more important than the scheduled Pac-12 game. The Pac-12 champ missed the College Football Playoff for the second time in four years. The ESPN football experts put two forks in the conference after USC was embarrassed at Notre Dame. Our friend Willie hopped on the bus to FSU. Wazzu’s defensive coordinator, Alex Grinch, who helped greatly improve the “D” on the Palouse, is off to greener pastures at Ohio State. With games played on a cable television network that much of the nation cannot watch and at times when much of the nation is asleep–is it any wonder that conference recruiting is way off? When the top QB recruit from Hawaii and top RB recruit from the Bay Area both matriculate to Alabama, something is most definitely amiss. A return to a traditional Rose Bowl? Yes, basic geography factors into this decline; however, abysmal leadership that led to this season’s Rose Bowl being played in Dallas is a bigger factor. Would Coca-Cola sell its iconic trademark under a long term contract without assurances that it would receive its annual remuneration? 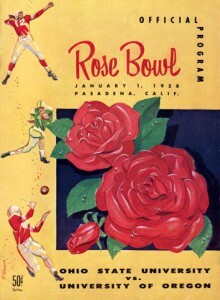 The soul of the conference, the Rose Bowl, was bartered away for trinkets. In all of the way-too-early preseason top 25 polls I have seen, UW, at No. 12, is the highest-ranked conference team. Athlon Magazine put its ranked Pac-12 teams as follows: UW No. 12, Stanford No. 13, [Boise St. No. 19], Oregon No. 22 and USC No. 23. 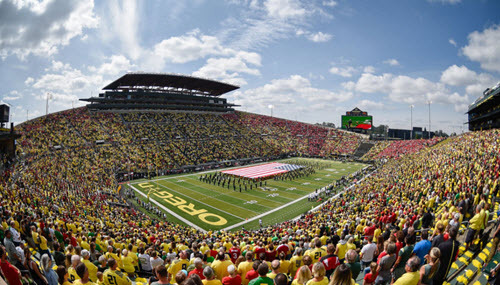 IMHO, it is time for well capitalized Oregon and the conference’s big market players in Arizona State, Cal, Colorado, UCLA, USC and Washington to abandon this leaking and listing Pac-12 ship. It is time to stop carrying small market teams in Corvallis and Pullman and the modest market teams in Tucson and Salt Lake. It is time to stop underwriting the conference HQ and Network located in the ridiculously expensive Bay Area. With certainty, another round of conference realignment is coming. Not too long ago, the vast majority of so-called CFB experts projected that it would be the Big 12 that would bite the dust. Now, compared to the Pac-12, the Big 12 is rolling in dough. Texas would be reasonably compensated for losing its exclusivity. Disney/ESPN would have the incentive of turning an enterprise now in the red into the black. All cable companies would come on board. Media coverage would greatly improve as would recruiting. 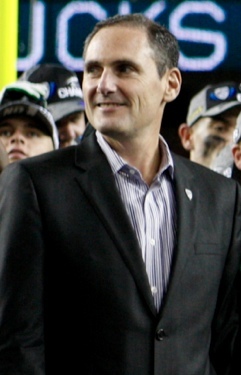 What would the fans think of Oregon being in an 18 team Super-Conference? The other condition (whether the Playoff field is expanded or not) the champ of the “Big – Pac 18” is in the College Football Playoff. And in years when the Rose Bowl is not in the Playoff semifinal rotation, the highest ranked and available Big-10 team plays the highest ranked and available “Big – Pac 18” team in the Rose Bowl. For all sports other than football, (which would be zippered to appeal across the board to all Texas and other HS recruits)–Oklahoma and Oklahoma State would join the seven Pac-12 mutineer teams to form the Western Division. Travel would not be dramatically increased. Football teams would play one challenging OOC game, two cross-division games and eight division games, with a conference championship game at the conclusion of the season. This would preserve the USC/Notre Dame rivalry and all existing rivalry games. Under the current business model, I simply cannot see a scenario where the Pac-12 conference can pull out of this financial downturn. Sure, for the sake of tradition Oregon can remain in an as-is Pac-12. And I am certain that many will argue that Oregon, sink or swim, should remain a loyal conference member. 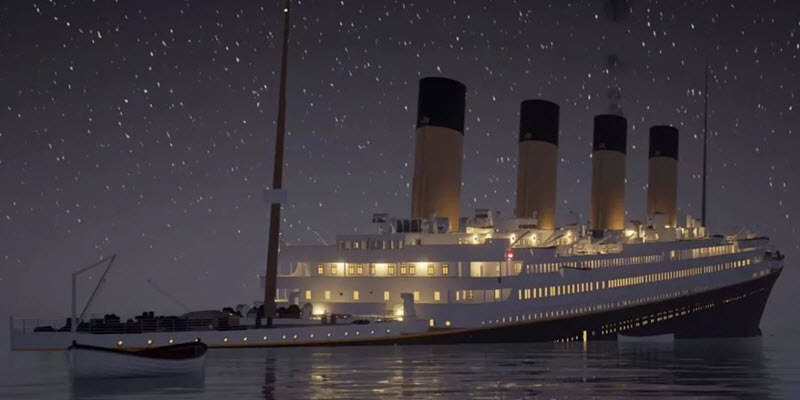 But in my view, well-capitalized Oregon and the six west coast big market teams should head for the life boats before the good ship Pac-12 sinks or floats into the sunset as the lesser ship, The Ivy League II.